I was so honored to learn this week that Rose from Something Rosemade nominated me for the Liebster Award! Rose has been so invaluable to me for helping me fix my walking foot woes on my Juki! I should be nominating her! 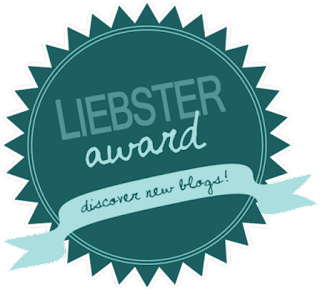 The Liebster Award is an award that exists only on the internet, and is given to bloggers by other bloggers. The earliest case of the award goes as far back as 2011. Liebster in German means sweetest, kindest, nicest, dearest, beloved, lovely, kind, pleasant, valued, cute, endearing, and welcome. You can read more about the award here. Who inspired you to sew? Both of my grandparents sew and so does my mom. I even recently found a photo from one of my very early birthdays and my mom's sewing machine is on the dining room table in the background! I tried sewing when I was young, but it didn't interest me. However, in my late 20's I got an inkling to make a baby quilt for a friend. I was hooked! 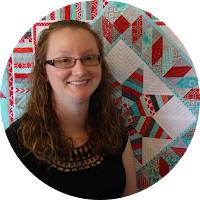 I was able to meet several sewlebrities at Quilt Market last month (Jenny Doan from Missouri Star Quilt Co., Edyta Star, Tula Pink, Mathew aka Mister Domestic, Alex Veronelli of Aurifil Thread, Alison Glass, Heather Givans of Crimson Tate, Allison of Cluck Cluck Sew, Liz and Elizabeth of Simple Simon & Co., Pat Bravo, and so many more!). There are so many people I'd love to have dinner with! I think Bonnie Hunter is pretty high on that list. I'd love to hear her story of how she's been able to work her way up in the industry. 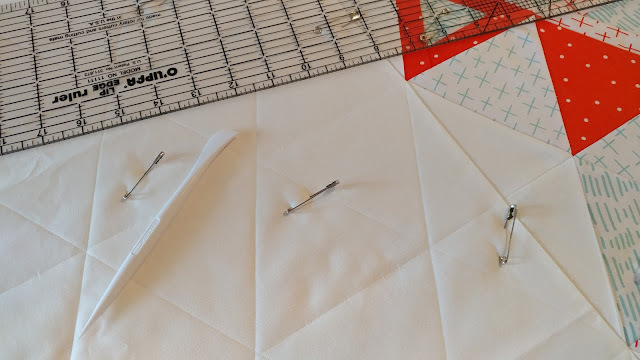 What do you like to do while quilting? I really like to have quiet time. I'm used to the shenanigans of two boys, so quiet is a rare sound here! 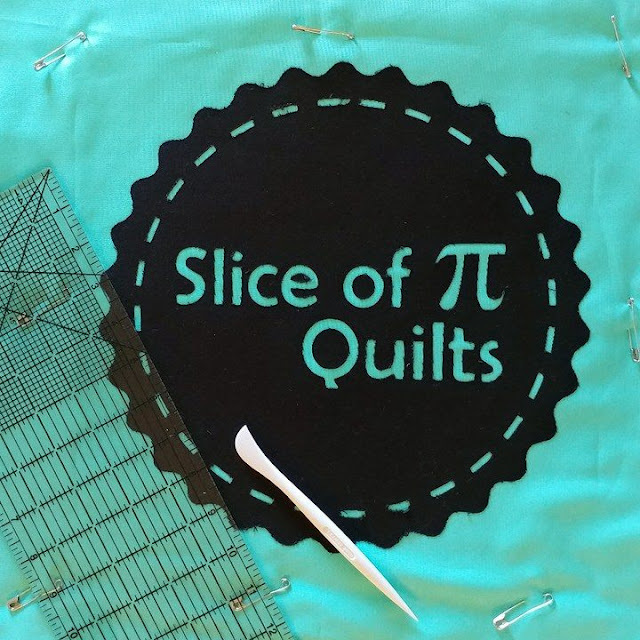 Do you have a favorite snack while quilting? I don't snack while I'm sewing, but a glass of moscato is helpful! Do you look for quilts when watching movies? Always! I also look for them in books when reading to our kids. And I watch for barn quilts when on road trips. It's a constant I Spy game! What comes first: fabric or pattern? I always think it's my most recent one! But my round robin quilt still holds a pretty special place for me! Machine! If it has to be done by hand, it likely won't get done! I bind by machine too. 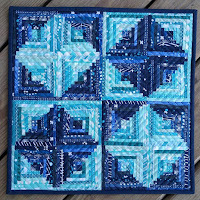 have just started to enjoy sewing hexies in the car when traveling, but I still machine stitch them to make a quilt. Aqua. It sneaks into lots of projects! I find myself reaching for my Hera marker quite a bit lately! Do you work on one quilt at a time or many? Do you have a blog that you just can't miss a post? I have so many! I find myself always wanting to know what Paige at Quilted Blooms is up to! We actually have quite a few things in common even! 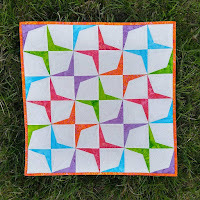 She loves to enter quilt challenges and has created blocks for Quiltmaker's 100 Blocks magazine too. She was part of the New Bloggers Group I participated in earlier this year, but her blog looks far from new! Paige creates the most beautiful works of art! She enters quilts into shows and has won several awards! 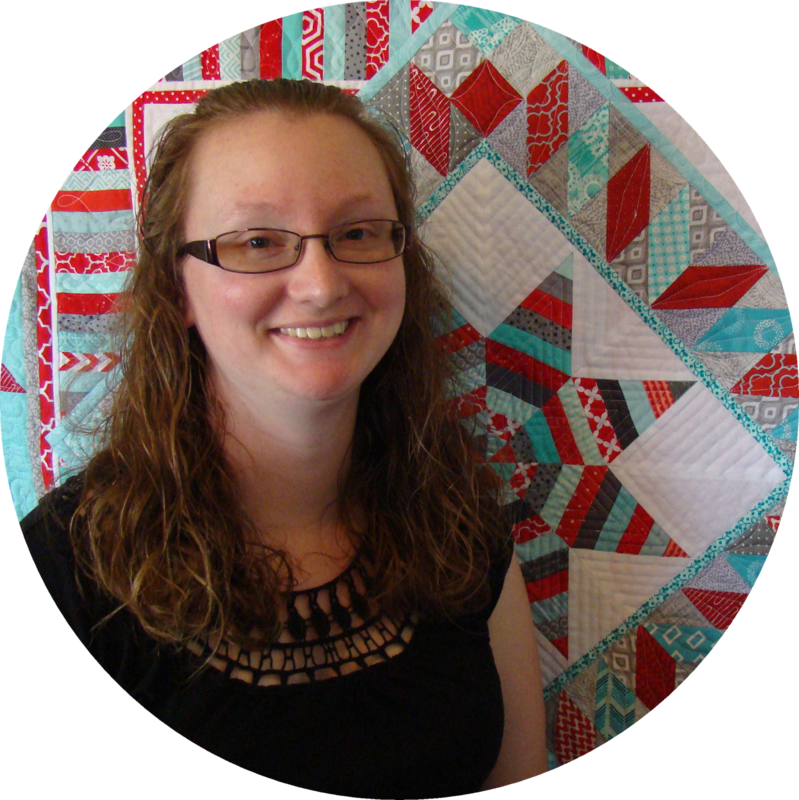 She is also quick to share sewing and quilting tips and tricks on her blog. 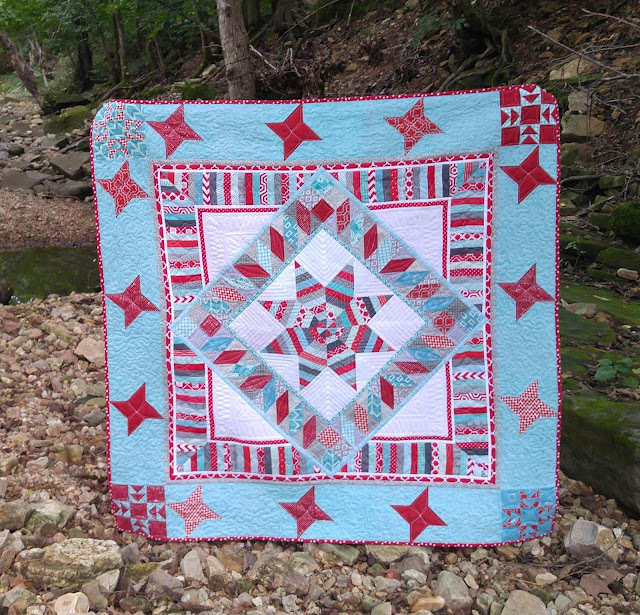 She claims to be a traditional quilter, but her designs are often modern and use bright colors. Hop over to her blog! I'm sure you'll be inspired too! Who would you like to nominate for the Liebster Award? 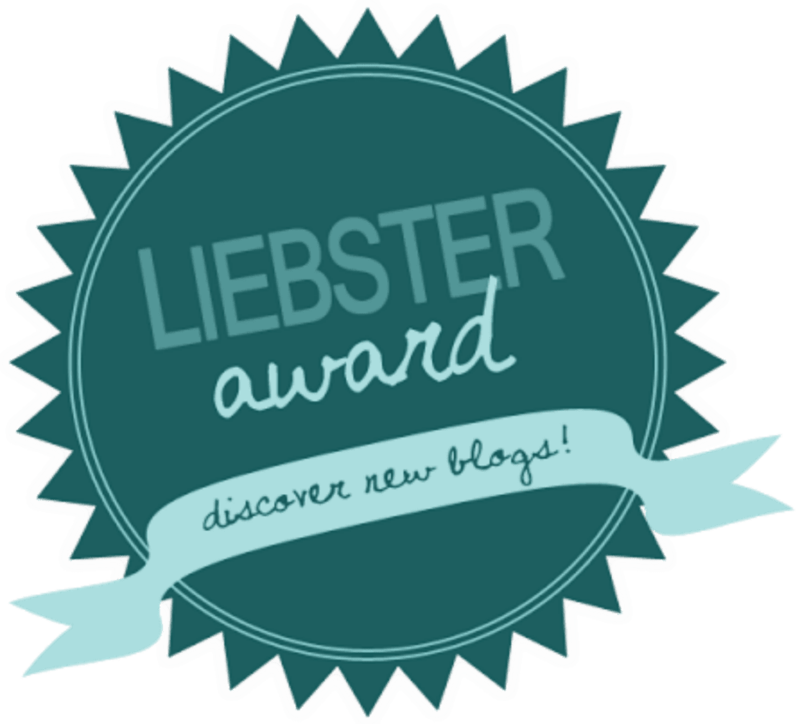 I would like to nominate the following bloggers for the Liebster Award! Have fun checking out their blogs - you just might find someone new you want to follow too! 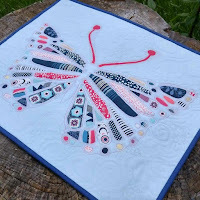 Leanne at Devoted Quilter is a pattern designer from Canada. She posts weekly devotions and is currently amid a large quilt charity project for her local assisted living facility that burned earlier this year. Melanie at Hello Melly Designs is another pattern designer, but she also does surface pattern design (like designing fabric and printable posters). She has such an eye for beautiful colors and designs! I'm always inspired by her work! Karen at The Quilt Rambler is a fellow Island Batik ambassador. She has such a fun personality, and it's easy to feel like you know her! Nancy at Grace and Peace Quilting was part of the New Quilt Bloggers group this year. She does beautiful longarm work! She quilts for clients too, so she always has lots to share! Sara at Designs by Sarah J was also in the New Quilt Bloggers group. She is a fabric designer as well as a pattern designer. I had the opportunity to meet her at Quilt Market. Sarah is so kind and encouraging! Now it's your turn! Which bloggers inspire you? Thanks for nominating me, Laura! 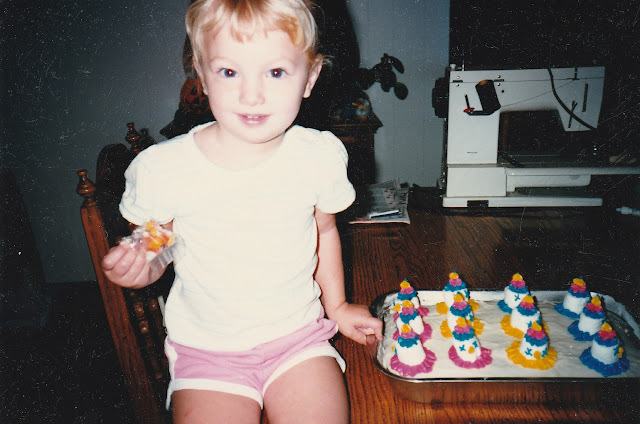 You really are the sweetest, dearest, nicest... :) It was nice getting to know you a little better in this post and I love the picture of you with your mom's sewing machine in the background! I really am so glad to get to know more about you and think these kind of awards just spread so much loveliness around the internet... it makes me smile! Laura, I'm so honored, thank you! You are such an inspiration as well! And you have met so many sewlebrities! Fun post, Laura! I enjoyed getting to know you a bit more. You nominated some good bloggers! Great post Laura! I love Moscata too. Thanks for sharing and joining in the fun. I truly appreciate you "sharing the love" by nominating me as a fellow Liebster Award blogger - I'm just digging out after returning from family vacations but I will catch up soon with the fun! I have enjoyed being a fellow Island Batik Ambassador with you and I hope you make it to Fall Market so I can meet you in person! 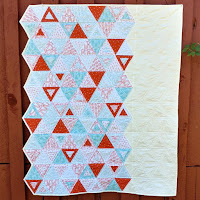 I love your patterns and your IBA monthly projects, sew delightful!